The debatable king of lighting, Strobist, David Hobby, said it best, "don't let good light ruin a photo." First of all, if you're in the photography community and have been living under a lens cap for the last few years, Strobist is the number one website for those learning how to use off camera flash. His site is visited by millions upon millions of people each year and these numbers continue to grow by the day. David Hobby, the author of Strobist began his career as a newspaper photographer and has transitioned to full time blogger. His articles are very educational, detailed and easy for photographers at any level, to understand. If you have just crawled out from under that lens cap, I highly recommend familiarizing yourself with the Strobist website, no matter what level you are shooting at. Beginners can learn what it takes to become a pro and the seasoned pros, well, old dogs can learn some new tricks. As for the quote, "don't let good light ruin a photo," just think about those words for a minute. If you have been reading this blog or Strobist or any other educational website out there, in hopes of improving your photographic skills, you have probably been interested in creative off camera lighting technique. Your curiosity has then turned into reality and you have taken the step to get some flash triggers and new strobes. Just like the rest of us, your images have improved beyond your wildest dreams. If like myself, you now have full blown addiction to creatively lighting a photograph. Your life may have changed from your newest findings. People have discovered your work and decided that they want to hire you for their engagement photos, wedding photos or whatever the case may be. You have turned from point and shoot amateur to a professional, almost overnight. Ok, ok, that may not be everyone's situation, but I know there are many out there aspiring to make it to that, extremely difficult, next level, pro. Maybe a couple years back, this hobby, in your head, was as far as you could see yourself going. Now, you have made improvements in your style and execution and now see the possibility of turning pro a, well, possibility. As you decide to put your nose to the proverbial grindstone, you realize this is hard work. On the other hand, you continue to learn new lighting techniques and see continuing improvements in your portfolio. After a while, you the photographer, have turned into a full time strobe addict. Not to fear, we have all reached this point at some time in our photography lives. I too became obsessed with only lighting my photos artificially. It gives one a great feeling of power and creativity. Bright sunny day? Screw it, just overpower that ambient, set the flash to high speed sync and that sun is as good as gone. The giant strobe in the sky has become your enemy as you do everything in your power to avoid letting it rear it's ugly head in your photos. "Who cares?" The photos you are now making are awesome. Ambient light is for amateurs. Right? Wrong. Here is wherein lies the problem. Yes, you are now an awesome photographer. People drool over your lighting scenarios. Hell, without light there would be no photographs. 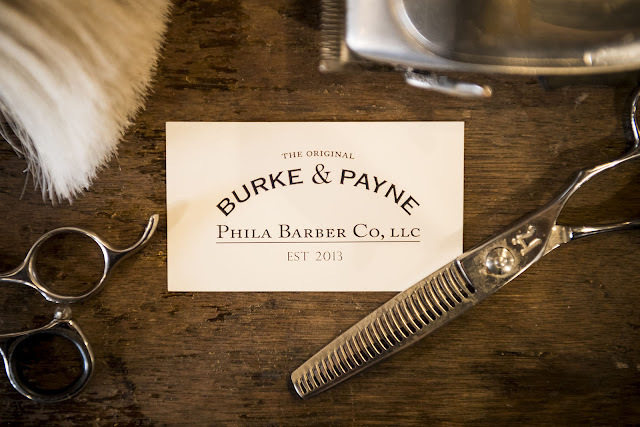 And now, your light is just cooler than the next guy's. Screw the purists and the horse they rode in on. I'll now get to the problem. Let's say for example, you are doing some outdoor portrait work. For the example we will use a family. You have mom, dad, Bobby and buzy. Bobby is 13 years old and Suzy is two. You decide that shooting would be pretty awesome in the forest just beginning at the end of their back yard. No sweat. Already planning in your head, you are thinking what aperture you will dial down to, to get that ambient nice and dark. The sun is bright but slightly blocked from the trees. You're feeling something like, oh, an f/8 at 1/250 and ISO 100. Maybe up to f/11 at ISO 200 for some others. These exposure settings are now second nature to you. You then notice a empty patch of ground where you will ultimately place your subjects. Next you find places to put all three of your strobes. One on camera fill light. One on a light stand at camera right. The third, you clamp to an overhead and towards the left, tree branch. Now the blood is pumping. You cannot not wait to see what tricks you're going to pull out of your hat. The family is oblivious to you as they are preparing themselves to look great for the family portrait they are about to pay top dollar for. You are fumbling around with each strobe, adjusting their power settings, adding a snoot to one or whatever the case may be. As you are not paying attention, little Suzy is sitting next to a family of chipmunks, eating out of her hand. Mom and dad notice and try to get your attention. As you try to stop what your doing and run for your camera, the whole scene is lost as you trip over your tripod and scare the chipmunks away. Mom whispers to dad, "what a jackass." Dad whispers back, "last time we hire this goof." Bobby laughs uncontrollably at your smooth moves. Ok, my story is fictional and a bit extreme. My point is this. Sometimes as photographers we are so preoccupied with creating interesting lighting scenarios that we forget the thing that is most important in photography, capturing a moment in time, a timeless moment at that. So, is this to say that off camera light and complex strobe setups should be trashed all together? Absolutely not. I'm just saying that you, as the photographer, should always be on the lookout for that one moment in time that other's would miss. That's your job, hobby or whatever the case may be. I too was one of these photographers. I'm still trying to find that balance. It's hard for me to shoot or want to shoot, for that matter, anything, unless it is lit by off camera flash. In the past, I've missed many moments that would have made spectacular photographs, simply for the fact that I didn't want to shoot anything in full ambient lighting scenarios. I used to think that the shot would look like any other and would think to myself, "crap, if I only had all of my gear and more time, I could have made a great shot." Light has became the monkey on my back. I just couldn't get rid of the need for off camera light. Once I recognized the problem, I decided to make some changes. Although the monkey isn't gone, I have definitely made improvements. Don't get me wrong, I still think that creative light will take the photo to greatness but now I try to capture moments regardless of what gear I'm carrying. If the only camera I have at that time is my iPhone, so be it. I think the photograph above and this article work wonders for each other. 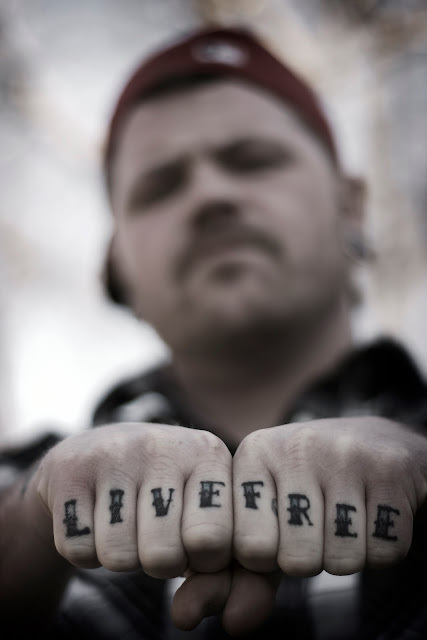 "Live Free," is tattooed across the subjects knuckles. Two very powerful words and when put together their meanings synergistically improve. You, the photographer should live by these words. Don't be imprisoned behind light stands and Pocketwizards. Remove the Vivitar and chain from around your ankles. Embrace the ambient and focus on capturing the moment that the point and shooter would never think of catching. I took the photograph above after doing the "quick and easy - tips for child photography," shoot. The subject and I went outside to check out the amazing view from my roof deck. He was covered in tattoos and had a story for every one of them. I didn't hesitate to grab my camera, sans strobes, umbrella, etc. The light was bright, perfect for opening up that aperture to its max of f/1.4. I got down low and began shooting. A great photograph was created, with nothing more that one DSLR and a vision. Lies, one of my favorite albums by G n' R. As I'm sitting here writing this wonderful and motivational story, I cannot help but wonder if I'm lying to myself or trying to convince myself. Who am I kidding, it's hard for me to shoot in full ambient these days. I constantly want to light it and light it my way. I guess the monkey hasn't left the room.